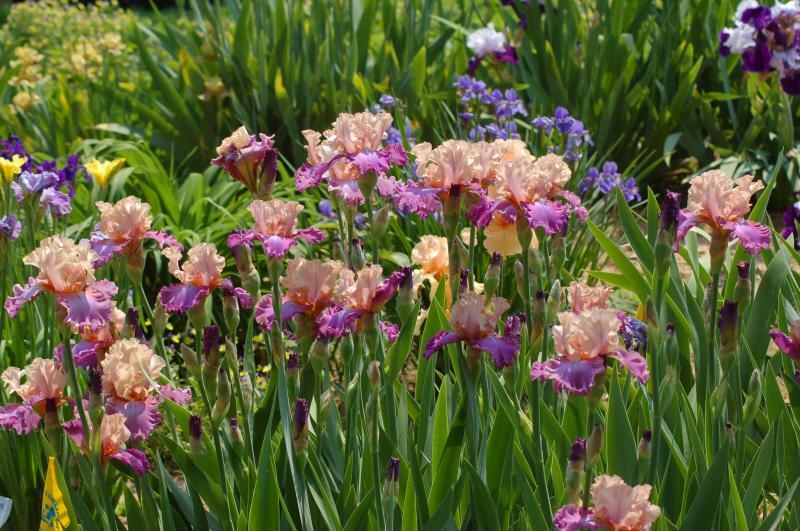 Don Spoon loved irises as a youth, and helped his mother Lilla, then president of the Charlotte, NC Iris Society, in her garden. When Don moved to the Washington, D.C. area he taught Biology at Georgetown University and built a lovely garden beside the observatory where he grew many perennials including his beloved irises. 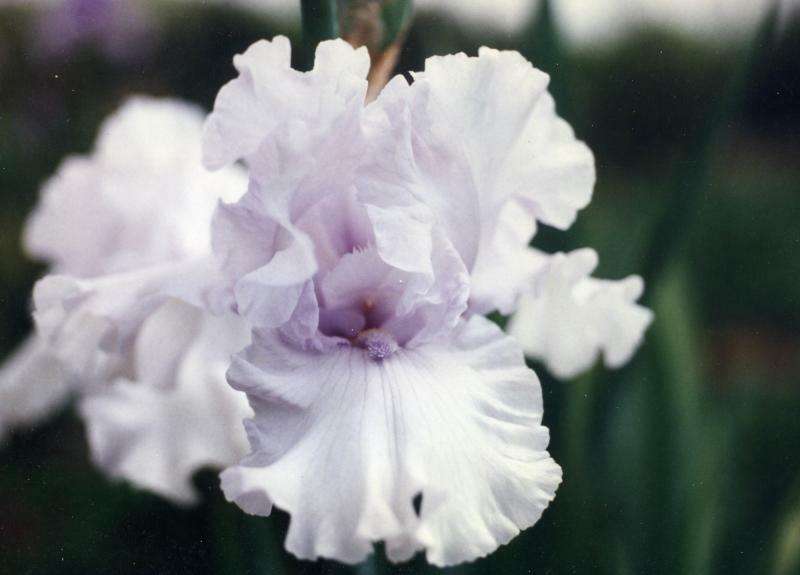 Don has won many awards with his hybrids; best red iris in the International Competition in Florence Italy and the Popularity Award with 'My Ginny', two Wister Awards (the top award from the American Iris Society for a tall bearded iris) for 'Uncle Charlie' and 'Daughter of Stars', the Williamson White Medal (the top award for his Miniature Tall Bearded Iris 'Maslon'), and numerous AMs, Award of Merits, HMs and ECs. Not wanting to be left out of the fun, Bryan and Ginny Spoon started hybridizing also. Both have received AIS awards, but have a long way to go catching up with Don. 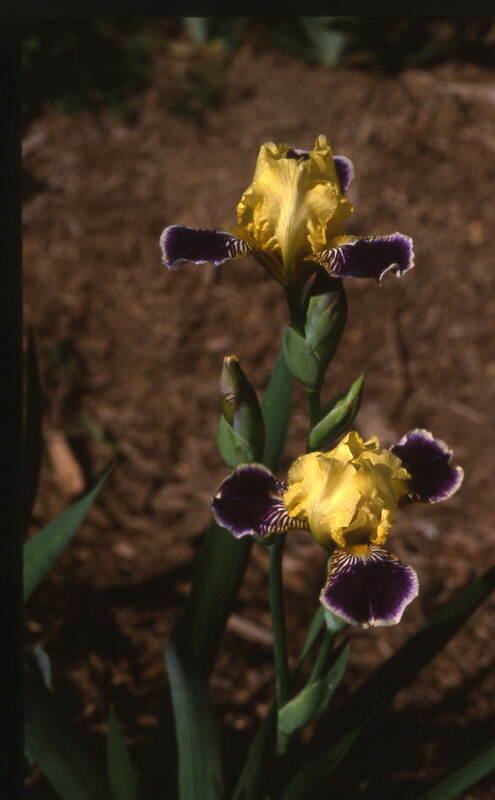 Don and Ginny met at their local iris society, the Chesapeake and Potomac Iris Society, that is located in northern Virginia. 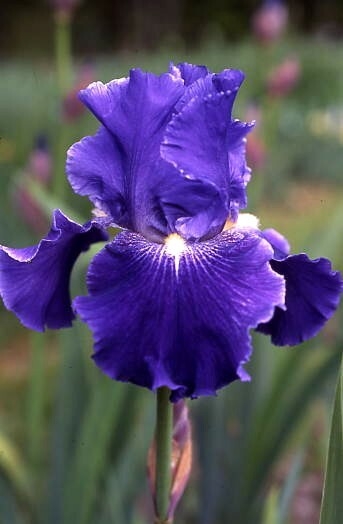 We met at an iris auction, he outbid me on some irises but I got them all back when I married him several years later. We moved to Cross Junction, VA in 1994, where we now grow a large collection of irises on our 5 acres in zone 6, located on the Allegheny highlands west of the Shenandoah Valley. Below is a clump of 'Little John' one of our first hybrid introductions. Grown well, it can have up to 11 buds and each flower lasts 4 to 5 days.